Bathroom is often considered the prestige of the home. A well decorated home, if has a bathroom which is not so great, might damage the reputation. So, it is very important to have a shining, well maintained and of course a proper flooring of the bathroom. There could be many choices for the bathroom flouring. However, the best option for the bathroom flooring is the tiles. Tiles look most beautiful and also best to handle and maintain it. However, to increase the impression, one can use the tiles in better way to give your bathroom a gorgeous look. The tips on how to select tile for your bathroom are very important for the overall designing of a space which can provide a fascinating finish. The first and foremost aspect of choosing the tiles is the material used. It is very important to choosing bathroom tile which are ceramic in nature. It is costly among the rest but the material is best for the use. It is very durable, easy to maintain and of course very strong. It gives your bathroom a complete new look. It is stain proof as well and the color does not fade away with time and stay lively for long time. If you are not up to the budget for ceramic then you might go for porcelain or even sandstone tiles. These are also effective in nature and of course give a rich look. One can opt for totally different color to make it even a lot of attracting and stylish. However, it is best to have a neutral and sober color for bathroom tiles which gives moderate look. Over brightness and jazzy look can be too eye catching and might remove the comfort factor from the bathroom tiles. Designing is another part that can become very handy in bathrooms. The various patterns in bathrooms with the tiles can give a rich look. 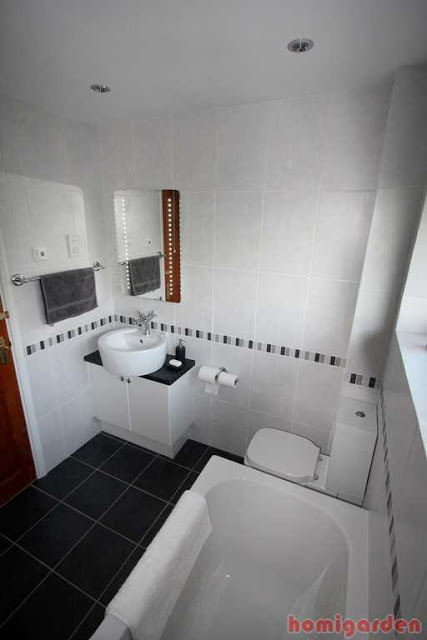 For example, the black and white flooring in the bathroom looks really pretty and designed. There can be any sort of patterns. The patterns can be done on any kind of material whether it is ceramics, sandstone or porcelain. Designing does not only mean the patterns of the floor. It can be done on the wall as well. Floral Patterns and designs on the tiles of bathroom walls for example are very pretty and trendy. When it comes to decorating and designing, and when choosing bathroom tile, you should give the bathroom the perfect design. The tiles should be in according to the space and the style of the bathroom. The tiles should never look odd in bathroom. The bathroom could be spacious and of course fitted with modern accessories and all other stuffs. This gives the chance to have tiles fitted with rich and deep color with large in size and other patterns can also be drawn. However, if the size of the bathroom is small, then the style and the pattern must be changed in order to give the bathroom a proper look. 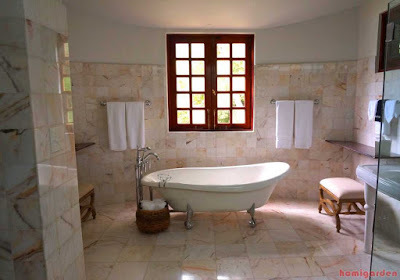 It is better to use glazed tiles in the bathroom. The continuous water flow of course makes the floor of tiles stained and that can cause problems. It is not easy to remove those stains and that is why use of glazed tiles can be a relief. It does not allow stain to form in the tiles and keeps the shine of the tiles intact. Putting some tiles in the bathroom walls with some finishing touches is not a bad option either. Tiles can give richer look when put into the places like soap dishes or towel bars. All the grout lines in the tiles should be well covered for better performance of the tiles. It has been noticed that the grout line often causes fading away and even cracks in the coming times. So, it is better to seal the grout lines and protect the tiles. The tiles should not be too glazed as it can be slippery and invite any accident. Rather, a bit of rugged tiles should be helpful. It avoids the slippery tiles and makes your bathroom safe as well apart from being beautiful. Choose the shape, style, cut and patterns according to the space of the bathroom. Every shape does not look good on every bathroom. So, chose wisely and chose according to your choice considering all the factors and options.